Import into potato (Solarium tuberosum L. cv. Record) tubers was terminated by removing the sink at its connection with the stolon. The ability of discs of storage tissue from the excised tubers to take up exogenous sugars and convert them to starch was compared with that of discs from untreated tubers from the same plant population. In rapidly-growing control tubers, glucose and fructose were taken up to a greater extent than sucrose, 77% of the glucose being converted to starch within 3 h (compared with 64% and 27% for fructose and sucrose, respectively). These values fell as the tubers aged but the ranking (glucose > fructose > sucrose) was maintained, emphasising a severe rate-limiting step following the import of sucrose into the growing tuber. Sink isolation had little effect on the ability of the storage cells to take up exogenous sucrose across the plasmalemma for up to 7 d after sink isolation. However, the ability of the same cells to convert the sucrose to starch was severely inhibited within 24 h, as was the sensitivity of starch synthesis to turgor. In the case of glucose, sink isolation inhibited both the uptake and the conversion to starch, the latter being inhibited to a greater degree. A detailed metabolic study of tubers 7 d after excision showed that, with sucrose as substrate, 94% of the radioactivity in the soluble sugar pool was recovered in sucrose following sink isolation (92% in control tubers). However, with glucose as substrate, 80% of the radioactivity was recovered as sucrose following tuber excision (28% in control tubers), providing evidence that sucrose synthesis acts as a major alternative carbon sink when starch synthesis is inhibited. 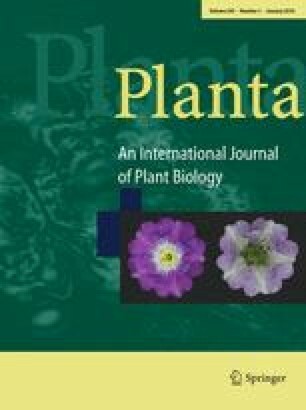 In the same tubers, sucrose-synthase activity decreased by 70% following sink isolation, compared with a 45% reduction in ADP-glucose pyrophosphorylase. Activities of UDP-glucose pyrophosphorylase, starch phosphorylase, starch synthase nd both PPi- and ATP-dependent phosphofructokinases remained unchanged. Acid-invertase activity increased fivefold.